Nobuhiro Watsuki’s Rurouni Kenshin is getting a live-action adaptation with Takeru Satoh (Kamen Rider Den-O, Beck) starring as Kenshin, the wandering assassin who helps the people of Japan. 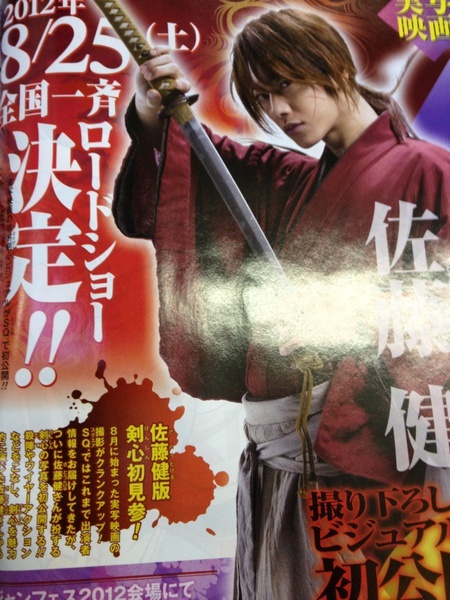 Here’s the first image of Takeru Satoh as the famed samurai warrior Kenshin that was featured in the January 2012 issue of Jump Square magazine. The live-action Rurouni Kenshin is scheduled to be released in Japanese theaters on August 25, 2012.